Littlink. As his dorky name implies, he is a Zelda fan. A one-time Nintendo fanboy and a once-horrible poster (can be debated (says him)). His ISP is horrible and is in fact the same company that another member, Ravan, had at one point. Littlink grew bored one spring day and went to the internet for entertainment. He discovered a site dedicated to his favorite series, ZFGN, and was enthralled by the notion of fan-made games. He immediately downloaded all he could and browsed every inch of ZFGN. He found the affiliates and proceeded to lurk on MFGG's mainsite. Littlink learned of The Games Factory and collected many sprites for his many ideas and concepts. Unfortunately, Littlink could not afford the pricey software to create the tantalizing games that floated around in his head. A bit later, he discovered Game Maker, which fit his budget. Around March of 06, Littlink joined the mainsite with the hope of submitting something and actually seeing it on the site. Gaining guts and creating a game, he submitted Super Mario Bros 3 V1.2 (SMB3V1.2). He was thrilled when it appeared later in an update. Even more so when the members MechaBowser and Black Squirrel reviewed his game. Thus Littlink entered MFGG. Later again, in April, Littlink joined the forums and promptly submerged himself in the Fangame Discussion, unintentionally (and unsuccessfully) hijacking another topic made by Guinea. He shortly after made his own. To be frank, Littlink was an idiot. He often got himself into debates in which he didn't use logic and reasoning and generally made himself look like an idiot. He avoids all forms of debate nowadays (not really, see "Debate" below). Late in 06, he vanished. Sometime in 07, he returned and started doing stuff again, a much better poster. 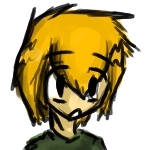 As of now, Littlink spends his off time working on God knows what, usually a mix of music, programming, art and whatever else springs to his mind. Otherwise he's working as a general contractor (which he enjoys thoroughly) or screwing around on his Playstation Triple. He doesn't like them. At all. Ironically he instigates and participates in them often enough that you might think otherwise. His debates usually end with him making an idiot of himself and regretting ever trying in the first place. Littlink loves Dr Pepper as well as eggnog. Especially eggnog. He dabbles in lots of creative activities that range from modeling to music making. Sometimes his vocabulary slips into the 80's despite not being alive during that time. This page was last edited on 2 May 2015, at 22:47.